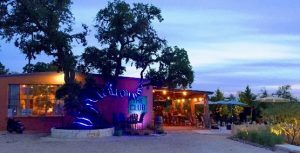 With 2 or more of our Hill Country Horns, Midnight Flyer offers Texas music fans a unique musical mix, with Motown and Stax hits, jump Blues, funky Jazz, even classic Country with Louisiana hot sauce. We feature material by great Texas artists, like the Fabulous Thunderbirds, Freddy Fender, Delbert McClinton, Roy Head, Freddy King, Doug Sahm, and many more. Call us to bring Tex-Mix music to your stage! BOOK the Midnight Flyer Band for fun, dance-able “Texas Party Music” for your next event! We can tailor our music to best fit your event, including more jazz with the addition of our horn players. We have more classic country tunes and are always working on new material. See our Setlist. Reserve your date! Call or email Jim now.